All big MMA fans like myself are always looking for how much are UFC tickets? Because at certain times of the year we like to take our enjoyment of MMA to the next level by going to a live UFC event. So today at the MMAGateway, I will give you everything you need to know about the upcoming UFC 215: Demetrious Johnson vs. Ray Borg fight card on September 9th in Edmonton, Canada at the Rogers Place and where you can get your tickets from. I will also give you my full analysis of the fights on the card, with my predictions, so you can better understand the top quality Martial Artists that will be on display when the UFC roll into Edmonton, Canada on September 9th. 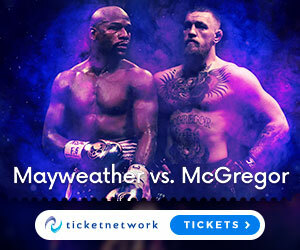 So get ready as we dive in head first into this unmissable night of action from the best in MMA – Also if this is your first UFC event that you’ve attended, then your in for a bigger treat then most, because trust me when I say that no live events in the world match the level of charged energy that you can feel at Big UFC events. Speaking of big cards this UFC 215 card is just that, because in the main event we see Demetrious “Mighty Mouse” Johnson look to attain the most amount of title defences in UFC history with 11, when he steps into the octagon against highly touted prospect Ray Borg. I think most will see this fight as a pretty cut and dry easy victory of Demetrious, given Borgs inexperience in title fights and the champions dominance over the division – But in MMA you can always get surprised when you least expect it. As we mentioned at the top we have Demetrious “Mighty Mouse” Johnson going up against Ray Borg in the main event for the 125 pound belt – now although this is a truly great fight, it has been said by some that this fight probably wouldn’t be the main event, but because Demetrious Johnson is about to make history with the most title defences, then this has to be the centre piece of the event. With regards to the fight though, I think this will be a much closer fight then people realise, because Ray Borg is no joke, he is easily one of the most talented Flyweights in the world. I think Johnson will a have a tough time trying to out wrestle and out grapple Borg, because he is very good there and given his age, toughness, scrambling ability and cardio, I think its likely that Borg could do well in the wrestling and grappling – but striking though should be the difference maker for me,with Johnson having in my mind far superior striking at range, in the pocket, or in the clinch. Johnson via decision is my pick here. In the co main event I am really buzzed to see this fight – Amanda Nunes vs Valnetina Shevchenko 2. The first fight was a very close fight, a war with Nunes winning the first two rounds barely, and Shevchenko coming back really strong in the 3rd round. Many MMA fans and Shevchenko herself believe that if the first fight went to the championship rounds, then she would have won the fight.Both women are supremely talented strikers, and both have excellent wrestling and grappling, however I think Valentina Shevchenko does have an advantage in the cardio department, which I think will be telling in this fight – so I expect Shevchenko to win via decision or possibly a late stoppage. Junior “Cigano” dos Santos vs. Francis “The Predator” Ngannou – what can you really say about this fight? Other then this is two of the most imposing and powerful strikers to ever walk into the octagon. This is a true Heavyweight delight for us fans. However, as a long time Junior Dos Santos fan I am worried for Junior in this fight, because after losing badly to current champion Stipe Miocic in there title fight rematch, I personally feel Junior should take an easier fight for his first match back. Francis Ngannou has been causing huge waves at Heavyweight, because he is a physical specimen with devastating power and he is on a 5 fight winning streak since joining the UFC, finishing all those fights in a way which lives up to his nickname. I really hope Junior can run back the years to his title winning days with a great performance here, but I have to be honest an unbiased in all my picks, and so I think Junior will likely find himself the prey to the Predator here and Francis Ngannou will win via KO and I will be really sad. Rafael Dos Anjos vs Neil Magny is another great bout on this card, this is a huge opportunity for Magny to face the former champion at 155 in Dos Anjos. I expect a close back and forth fight, but ultimately I think there will be a slight disparity in striking power, so I think at some point in the fight Dos Anjos will land a big punch, drop Magny or get a take down, to finish with some ground and pound or a tight submission late in the fight. Gilbert Melendez vs. Jeremy Stephens is another fight on this card that I’m really buzzed to see, because both men always come to fight, there will be no point fighting here, this will be a war from bell to bell. Now while neither man will likely be a champion at 145/155 at this point in their careers, Gilbert Melendez has more championship calibre and experience in my eyes. So I expect him to out land Stephens on the feet, but can he avoid the power of Stephens on the feet? Also Stephens has been way more active then Melendez in recent years – toughest match on the card to call for me, but I think Gilbert Melendez makes slightly more sense to me. Also we have Sara McMann vs. Ketlen Vieira, Ilir Latifi vs. Tyson Pedro, Henry Cejudo vs. Wilson Reis, Sarah Moras vs. Ashlee Evans-Smith, Gavin Tucker vs. Rick Glenn, Arjan Bhullar vs. Luis Henrique da Silva, Kajan Johnson vs. Adriano Martins and starting out with Mitch Clarke vs. Alex White. So we have looked at the whole UFC 215 card, and analysed all the main card fights, now you need to know the all important costs of the tickets for this event. Don’t forget that every UFC card has its own ticket prices based on the running costs of the arena, how close you want to be to the cage, and the scale of the event/calibre of name fighters on the card. So for this UFC 215: Demetrious Johnson vs. Ray Borg event on September 9th at the classic Rogers Place, in Edmonton, Canada, the ticket prices currently range from $75 – $2,000.00 (USD). So this is really a great card for any budget! If you want to start looking at the seating plans, costs and booking information for UFC 215, then check out my favourite website for tickets. Lets get to the land of the Red Maple Leaf! I think everyone loves something about Canada, I mean there’s just so much to like in that one country, but for me my favourite thing about Canada is the large amount of high level martial artists, and how educated the public are about martial arts. If you have never been to Canada, then maybe its the beautiful nature, the cool people, the famous slang terms, the hockey, maple syrup, Moose or Polar Bears that attracts you. But while your there make sure you check out the MMA scene – I can definitely suggest stopping at Tristar MMA gym in Montreal for example. I’ve seen two UFC events in Canada in my life, and I always have a blast when I’m there, so if your ready to get a ticket for this explosive UFC 215 card on September 9th at the Rogers Place in Edmonton, Canada, then you can make a booking right HERE. I hope you enjoyed this post, don’t forget to leave a comment, or a question – like, subscribe, share and I hope to be seeing you in the land of the Red Maple Leaf! I wanted to share my experience on your site. I personally LOVE how intriguing the content is and it got me to read more and more. I’m a big fan of UFC and your insight on the different fights, as well as the fighters themselves, was very informative and unique. Hi Darren, glad you liked this post because MMA is one of my biggest passions – so you now know where to come if you need any updates from the world of MMA, or ticket information like this post, UFC 215 will be a great card! If you liked this breakdown of the fights and the fighters, then you will love this post!